Neuroendocrine regulatory peptide (NERP)-1 and NERP-2 are biologically active peptides recently discovered by peptidomic analysis. 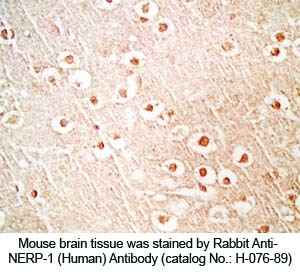 NERPs are processed out from the 594-residue VGF protein which contains many prohormone convertase cleavage motifs. 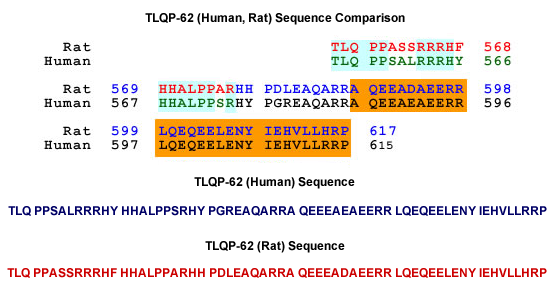 VGF-deficient mice exhibit a hypermetabolic and infertile phenotype, for which VGF protein-derived peptides including NERPs are presumably responsible. 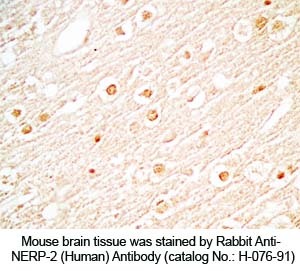 To provide a solid basis for elucidating physiological roles of NERPs, we investigated rat VGF protein processing by chromatographic and mass spectrometric analysis, and immunoblotting, using antibodies against NERPs and the VGF protein C-terminus (VGF-C). 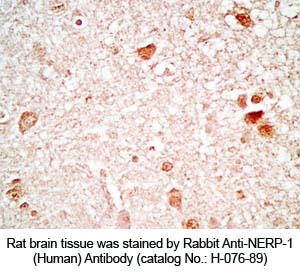 Cellular and tissue distribution of immunoreactive (ir) NERPs were also analyzed in the rat. 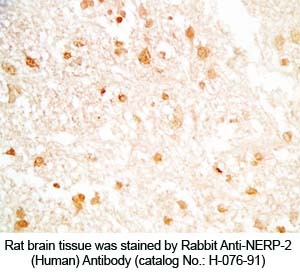 Both ir-NERP-1 and ir-NERP-2, which occur abundantly in the CNS and pituitary, moderately in the gastrointestinal (GI) tract, were mainly localized in neuronal structures. 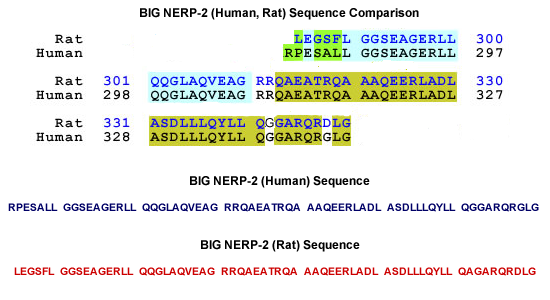 Major endogenous forms of ir-NERPs in the brain and GI tract were identified as NERP-1, NERP-2, and big NERP-2 (NERP-1+NERP-2), with NERP-1 and big NERP-2 being predominant. 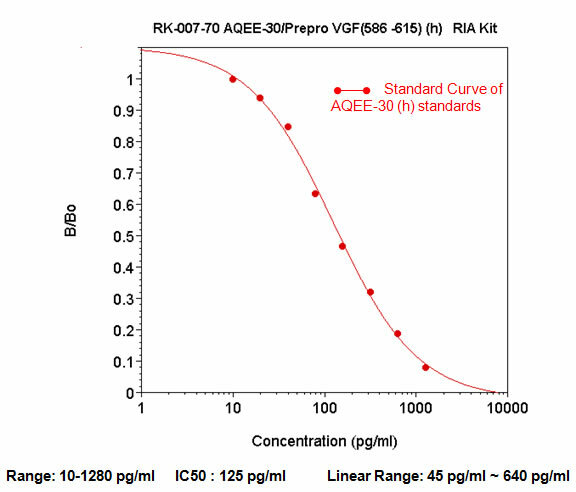 Regarding ir-VGF-C peptides, VGF[588-617], VGF[556-617], and VGF[509-617] were found to be major forms. 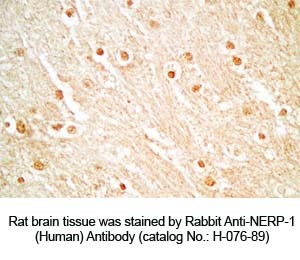 Immunoblotting with the NERP-2 and VGF-C antibodies revealed processing intermediates of 10-37 kDa. Taken together, we deduce that VGF protein is primarily cleaved at 10 sites through the processing pathway common to the brain and GI tract. Recent advances in peptidomics have enabled the identification of previously uncharacterized peptides. However, sequence information alone does not allow us to identify candidates for bioactive peptides. To increase an opportunity to discover bioactive peptides, we have focused on carboxy-terminal amidation, a post-translational modification shared by many bioactive peptides. We analyzed peptides secreted from human medullary thyroid carcinoma TT cells that produces amidated peptides, and identified two novel amidated peptides, designated neuroendocrine regulatory peptide (NERP) -1 and NERP-2. 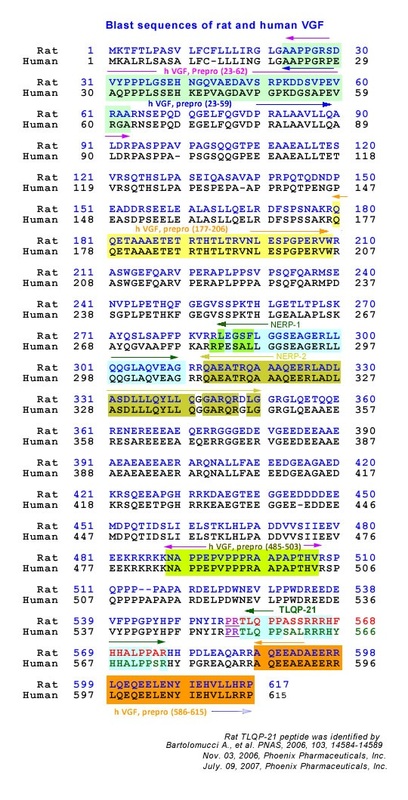 NERPs are derived from distinct regions of the neurosecretory protein that was originally identified as a product of a nerve growth factor-responsive gene in PC12 cells. 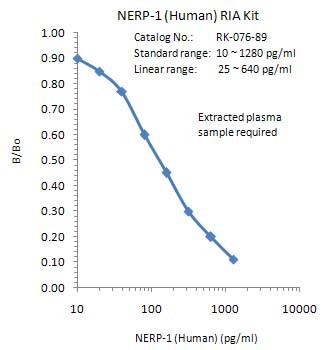 Mass spectrometric analysis of the immunoprecipitate using specific antibodies as well as RP-HPLC coupled with radioimmunoassay analysis of brain extract demonstrated the endogenous presence of NERP-1 and NERP-2 in the rat. NERPs are abundant in the paraventricular and supraoptic nuclei of the rat hypothalamus and colocalized frequently with vasopressin, but rarely with oxytocin. NERPs dose-dependently suppressed vasopressin release induced by icv injection of hypertonic NaCl or angiotensin II in vivo. 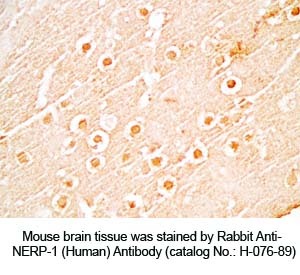 NERPs also suppressed basal and angiotensin II-induced vasopressin secretion from hypothalamic explants in vitro. Bioactivity of NERPs required carboxy-terminal amidation. Anti-NERPs IgGs canceled plasma vasopressin reduction in response to water loading, indicating that NERPs could be potent endogenous suppressors of vasopressin release. These findings suggest that NERPs are novel modulators in body fluid homeostasis. Yamaguchi et al. J Biol Chem. 2007 Sep 7;282(36):26354-60. Epub 2007 Jul 3.